Recently the news has been flashed that that Apple has stopped signing iOS 8.2 beta 1 and beta 2. A very bad news for all of us no jailbreaking is now possible. Earlier iphone stopped signing iOS 8.1.2 and now these beta versions. I don't know whether Apple has permanently killed these versions or they have shutdown these beta versions temporarily but for now we cannot access any of the iOS 8.2 beta versions. For now is a tough time. iOS 8.2 beta 1 and beta 2 were the only versions that allowed jailbreaking and installations of Cydia. TaiG for Windows and Pangu for Mac jailbreak were available for these versions but now they are also in vain. For now we don't have any of beta versions and iOS 8.1.3 can't be jailbroken. Apple has released updated versions to fix the bugs and vulnerabilities produced by jailbreaking and use of different tweak and apps by random publishers. But they have not only denied access to updates versions but has also stopped signing previous versions so users can no longer downgrade their iOS versions to earlier one and so now iOS 8.1.3 also becomes useless. Both TaiG jailbreak for Windows and Pangu jailbreak for mac are no longer useful. 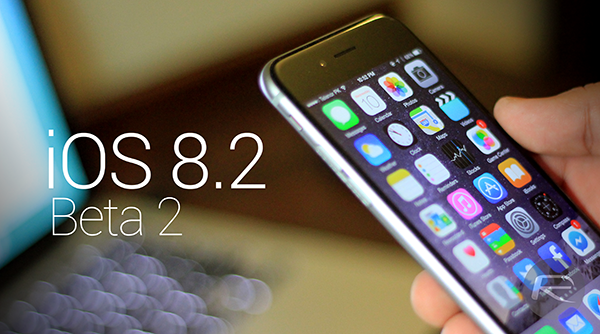 What if I am running iOS 8.1.2 or iOS 8.2 beta 1/beta 2 Version? Great! If you are having any of these iOS version on your iphone or ipad you can still jailbreak your iphone/ipad and install Cydia on it. You can see this - jailbreak iOS 8.1.2 for Cydia using TaiG tutorial. Or if you have already jailbroken your device then stay calm and enjoy. You just have to be careful before installing any tweak. Because if any Cydia tweak or app if malicious and installed on your iphone could make you to restore and you will lose your jailbreak and all other Cydia tweaks and apps installed on your iphone/ipad. And if you are having the iOS 8.1.3 version you will have to wait for sometime. Let Apple release some new version. Then you could jailbreak it.